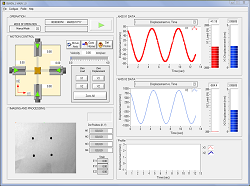 CTI developed all the custom LabVIEW software for controlling a unique microscope which employs adaptive optics to enable orders of magnitude reduction in blurring in deep biological samples. 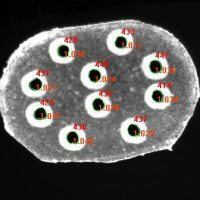 The research behind this microscope was featured in Nature Methods, with CTI developer, Daniel Milkie, Ph.D. as one of the authors. 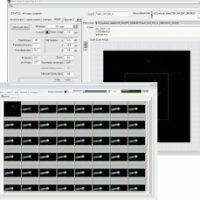 CTI developed all the custom LabVIEW software for controlling a unique microscope which employs multiple illumination and detection arms, along with scanning light sheet fluorescence, to obtain high resolution time series images of biological samples. The research behind this microscope was featured in Nature Methods. 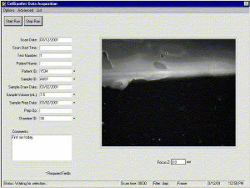 System for acquiring and analyzing images of birefringent materials in 96 position well plates. 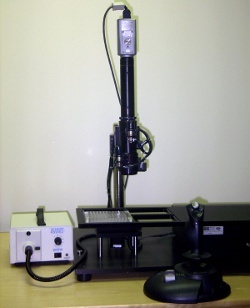 The system automatically controls an XY table, high resolution camera, light source, and dual polarizing wheels. 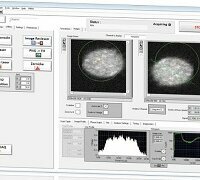 CTI, along with researchers at the University of Pennsylvania developed a confocal microscope with two photon fluorescence capability. Collects, analyzes, and archives microscope images of specially prepared blood samples, which are then used to detect circulating caner cells. 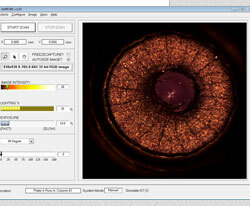 Identifies and quantifies defects in thin films. 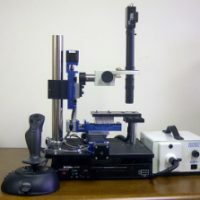 The system utilizes a high-resolution camera, zoom lens, and XYZ motion control, which allows for imaging over an extended area and for auto-focus control. Size and location of multiple hole patterns drilled into both sides of medicine tablets are inspected at a high speed on a conveyor belt. 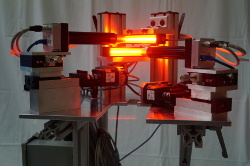 Second generation high-speed image acquisition system for acquiring images of circulating cancer cells.